Peckham's hottest new cocktail bar, bringing Palm Springs vibes to Peckham. 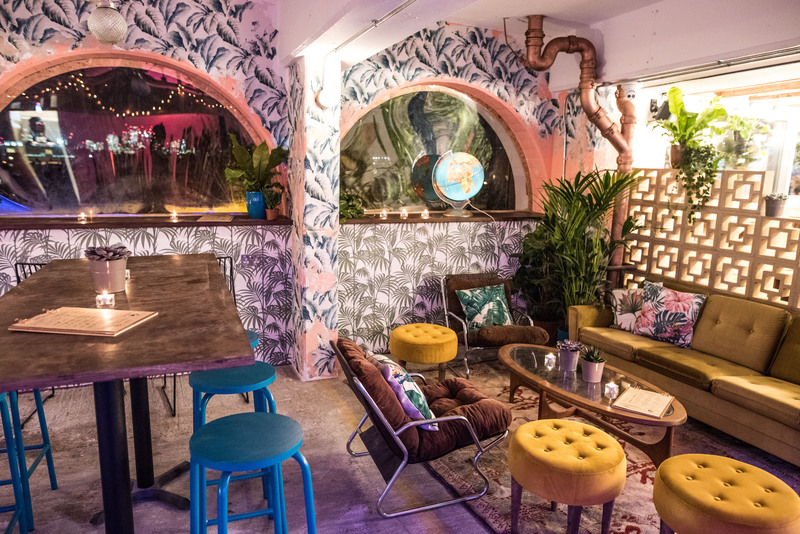 Near & Far invite you to Revel on a Whole New Level, bringing a touch of Palm Springs to Peckham Levels with their cocktail bar – named BEST NEW VENUE IN PECKHAM 2017/2018 in the Designmynight Awards. 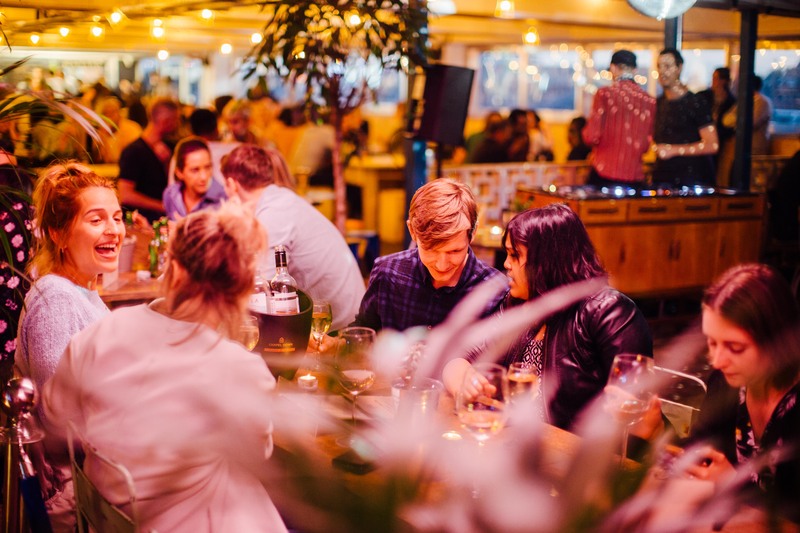 Join them for the quirkiest drinks, DJs Wednesday to Sunday, and the most incredible views of the London skyline. Peckham meets Palm Springs in the Near & Far decor, which subtly plays on the concept of import and export, a nod to the area’s famous market trade. The space beautifully combines and celebrates contrast; indoor meets outdoor with palm trees and disco balls, luxe meets budget with sleek furniture and vintage finds. Window seating embraces the incredible panoramic views of the London skyline. Featuring a palette of pinks, coppers, greens and neon, the bar has been shortlisted in the Restaurant & Bar Design Awards, with the winners being announced in October 2018. The space is designed by the multi-award winning team at Finch Interiors, winners of Interior Designer of the Year and UK’s Best Bar 2015 & 2016 for their work on The Breakfast Club venues and The Escapologist, Covent Garden. The cocktail menu continues the import/export theme, mixing locally-sourced ingredients from London’s distillers and breweries with imports from around the world. Think Camomile High Clubs, Emergency Brexits & Greenwich Meanthymes, with cheeky descriptions and exotic infusions of fruits and spices. 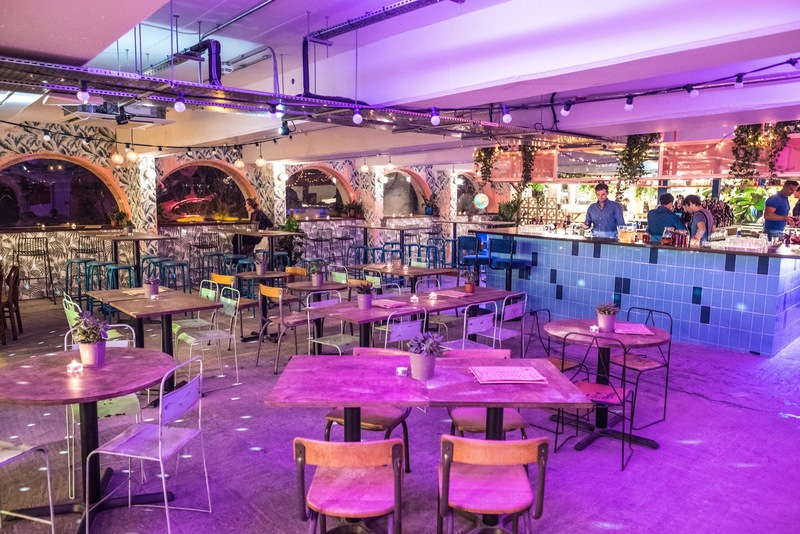 Being both family and dog friendly, the venue offers an adaptable, multi-use space with the flexibility to transform from a relaxed day-time hangout, ideal for catch ups or as an informal desk-space, to a party venue with a disco ball illuminated dance-floor, perfect for after work drinks and celebrations. Download the event packs for Christmas and Parties at Near & Far Peckham below.